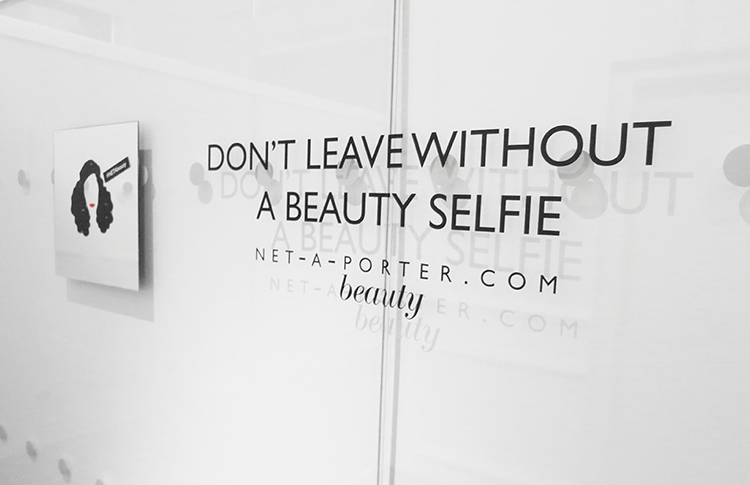 net-a-porter beauty anniversary event reached 13 million impressions in just 3 days. 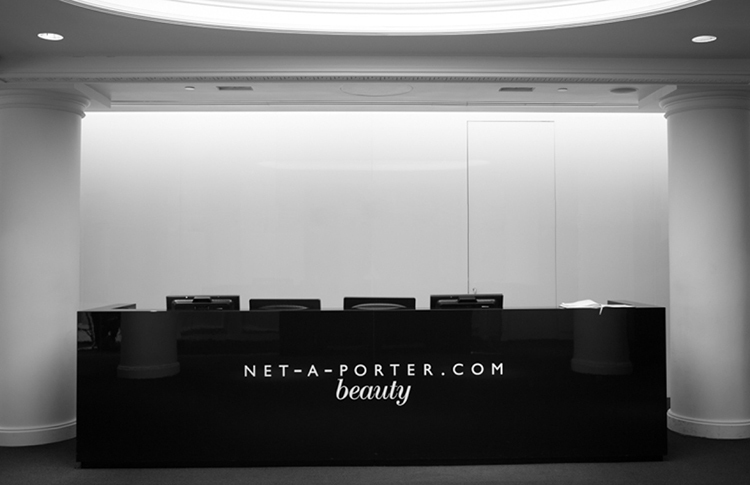 net-a-porter engages ceft and company new york to celebrate the 1 year anniversary of their beauty division. 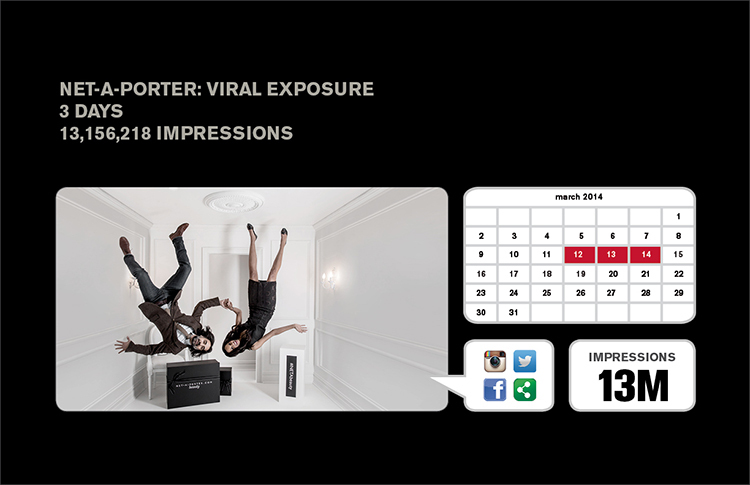 the agency worked with key clients to create, design, and produce an interactive and on-brand environment that entertained, educated, and encouraged conversations in the press and on social media channels. 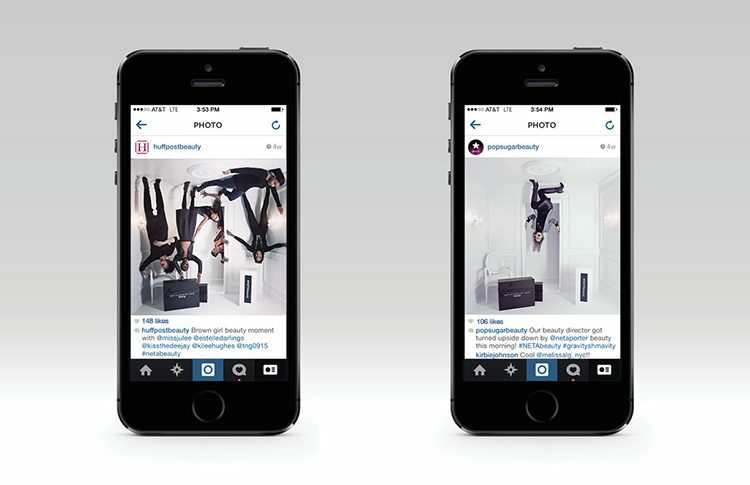 the agency approach was to distill a singular message and to blast that message across all media. 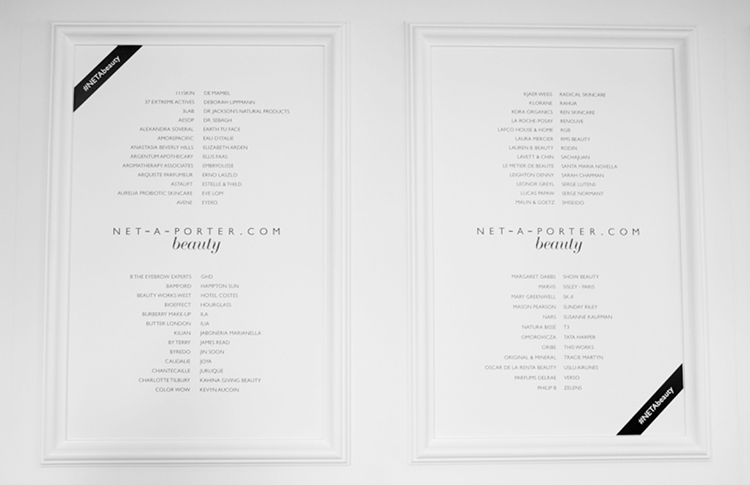 that message was: “net-a-porter is going to do for beauty what it has so successfully done for fashion, turn the business of beauty on its head” by offering international access to a rigorously curated selection of brands. the 2 day invite-only event was attended by editors of vogue (sarah browne), teen vogue (elaine welteroth), w magazine (katie jayne becker), nylon (katie dickens), instyle (kahlana barfield) and their peers, and generated over 13 million impressions in 3 days just on social media alone. this accounts for only those posts tagged with #netabeauty, the full impact was far more broad. 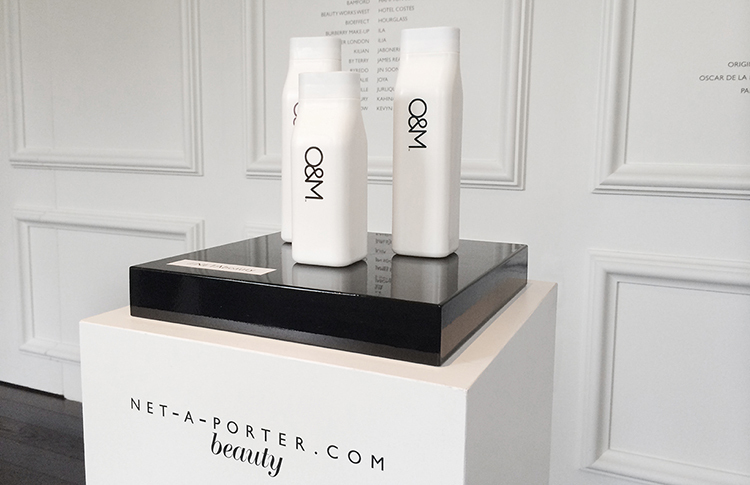 lovely packaging by O&M that lives up to our standards…the original minerals hair care at the net-a-porter beauty event. 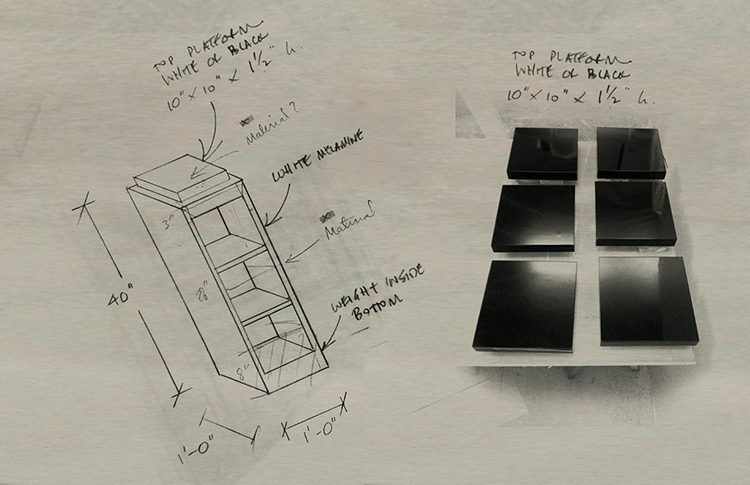 each podium was designed to showcase one brand, allowing the creators to focus and communicate their specialty and reinforce net-a-porter’s exclusive offerings. 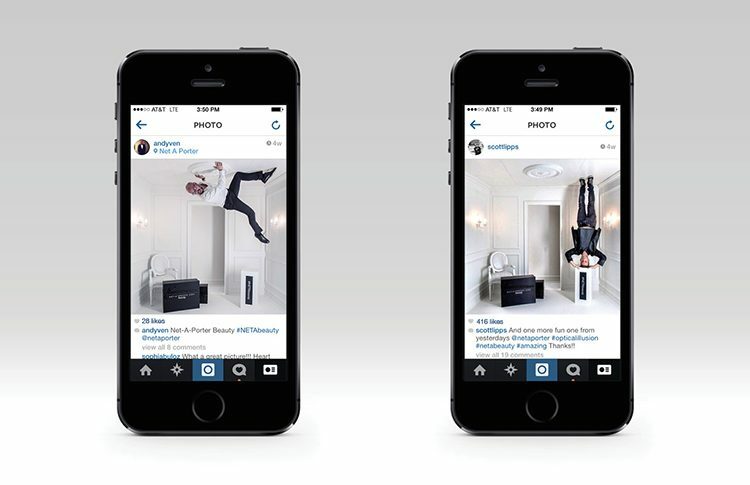 the upside-down room was designed by ceft and company as a tool to encourage conversation across social media channels such as twitter, instagram and facebook. 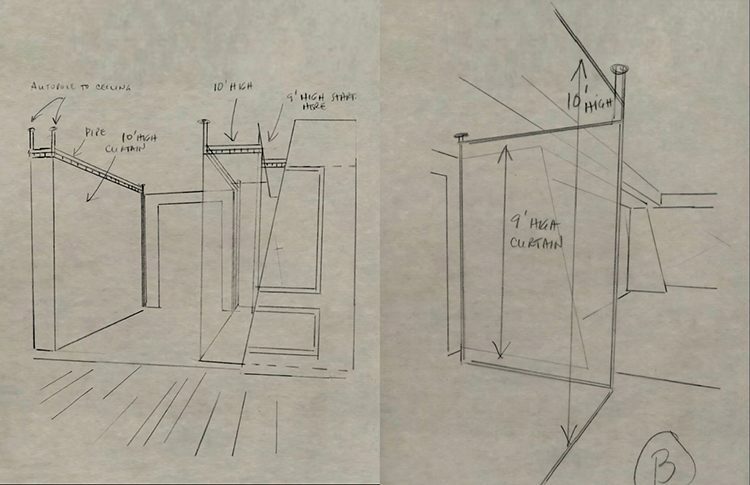 initial design sketches of the upside down room. 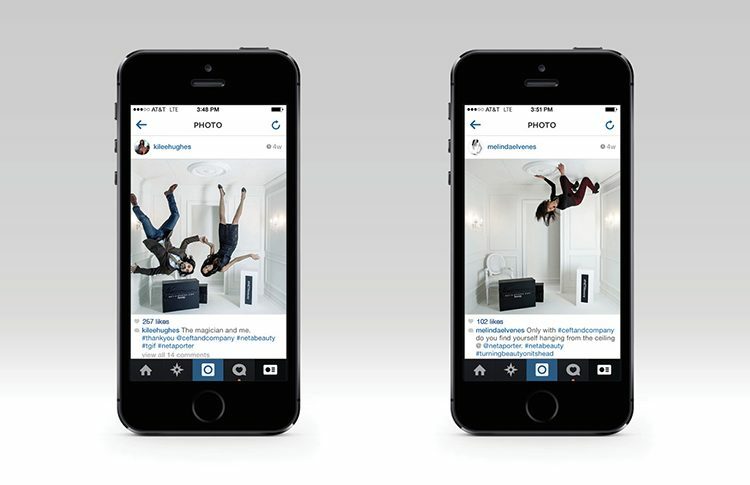 “turning the world of beauty on its head”… guests of the beauty event took to the ceiling for a photo-op. tagging #netabeauty and #turnbeautyonitshead. see more of the social media posts relating to this event here. 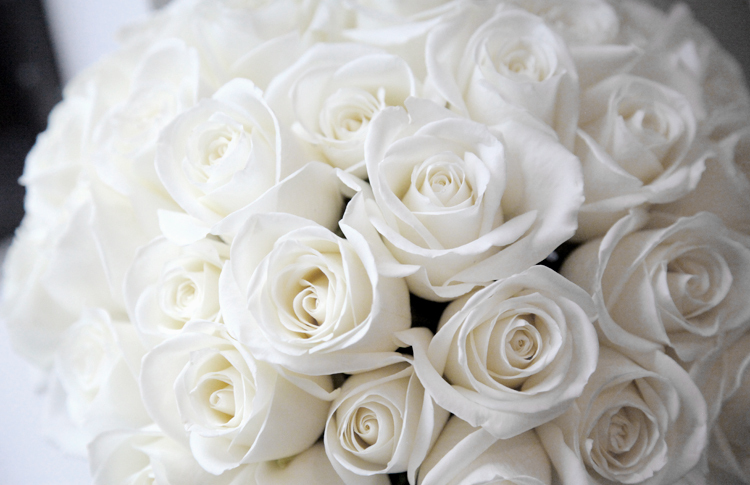 signature net-a-porter white roses in black glass, how can you go wrong with that? 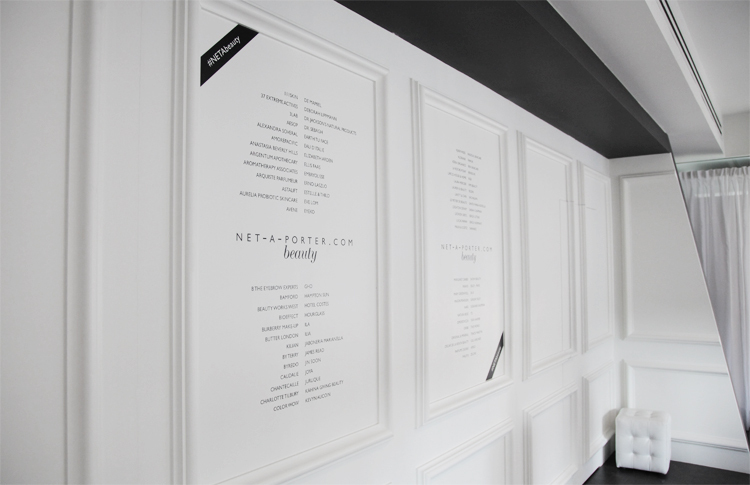 signage and required graphics were seamlessly incorporated into the wall units. 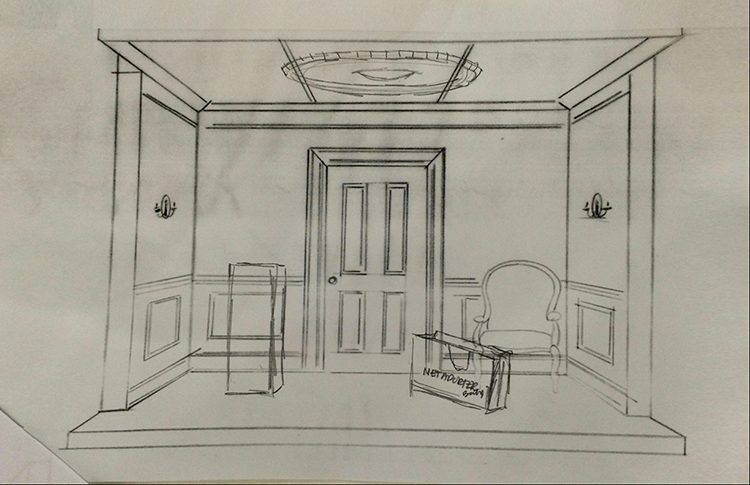 the set was designed with net-a-porter esthetic in mind – reflecting the brands iconic moldings and black & white palette. aside front the sets built mesh curtains where installed at the entrance to give an airy – fluid feel upon entry. brands with representatives at the beauty event included: by kilian, estelle & thild, james read, leighton denny, original minerals, ilia. 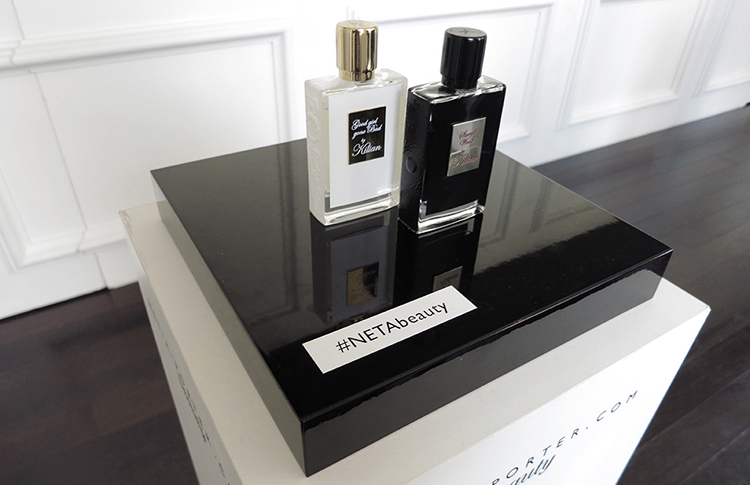 kilian “perfume as art” at the net-a-porter beauty event. 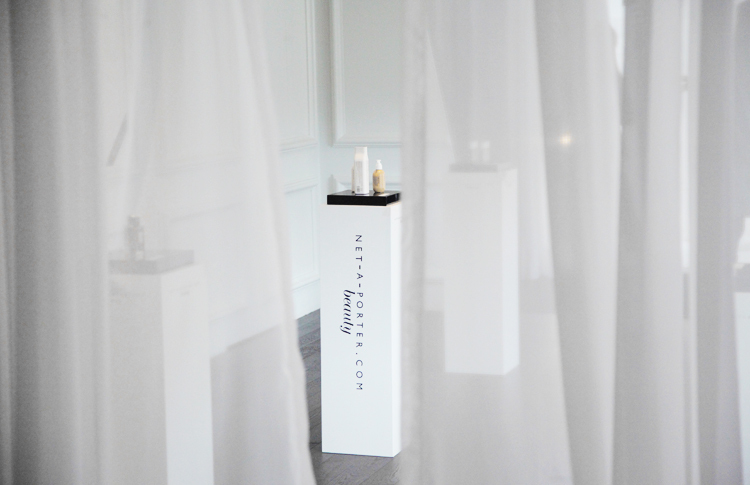 exit strategy: on the way out, mirrors were placed in order to engage guests for a possible beauty selfie. view all work related to this project.